In a non-stick pan brown the cubed pancetta, then add the sliced onion (perfume only), cheese and potato, all cut into pieces. 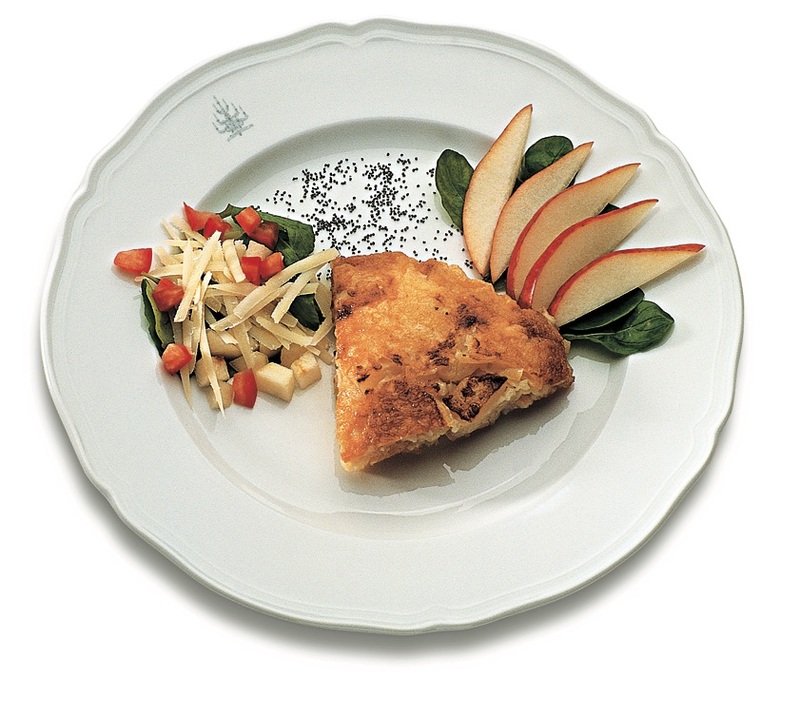 When Montasio is melt, add the peeled and chopped pears, stir over medium heat to obtain a sort of omelet roasted on both sides. Serve cut into slices with arugula.